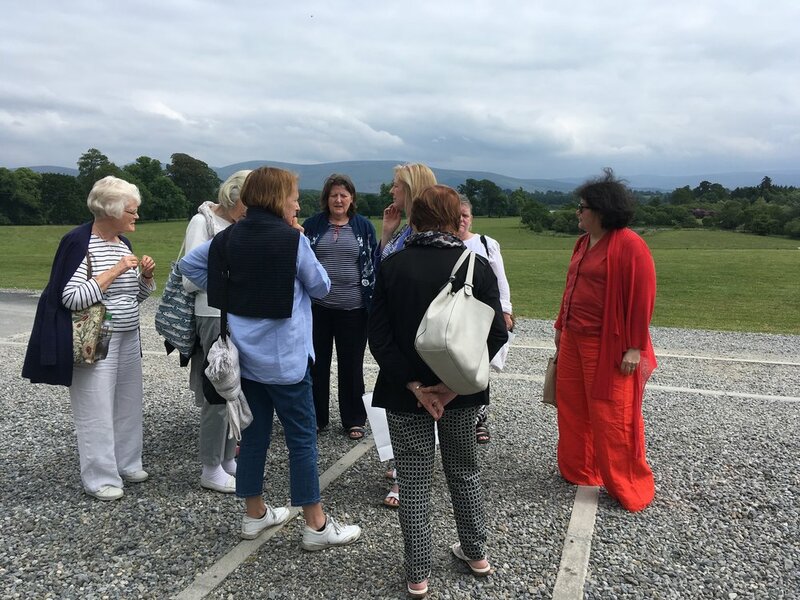 The 2018 outing was to Russborough House, Co. Wicklow, where a guided tour by Joan Griffith gave particular emphasis on the textile furnishing of tapestries, embroideries, needlepoint, carpets and sumptuous hangings. We were given an easy history of the families who have lived there, the design and building of the House, and restoration and conservation projects carried out by various occupants, including the current trust The Alfred Beit Foundation. I can only applaud Joan for her excellent presentation; interesting, lively, clear, and full of a passion for Russborough, it brought to life many aspects of the last 275 years. 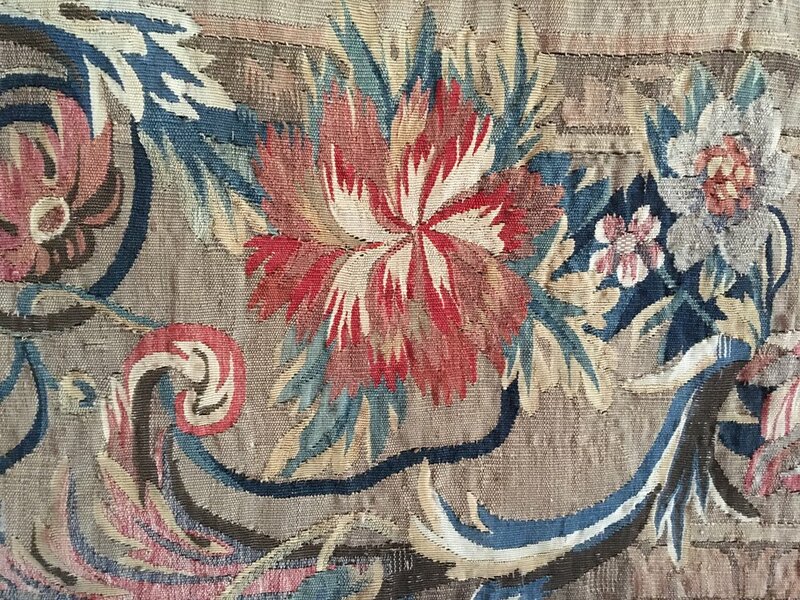 The whole day was delightfully relaxing and full of fabulous interiors, landscapes and gardens, and we were privileged to see parts not normally shown on house tours, and inspected some rare and beautiful embroideries. The bus had left from Clontarf at 8.30 and Mount Merrion car park at 9.15, and duly arrived on time for coffee/tea and a homemade scone! A light (sic!) lunch of soup and sandwiches (such a choice selection, and plentiful!) was served, after which members had time to explore the garden or revisit the house (in particular the basement where film and photograph archives described the life of the Beits in the 20th century. We returned on time, and arrived at Mount Merrion before 4.15! 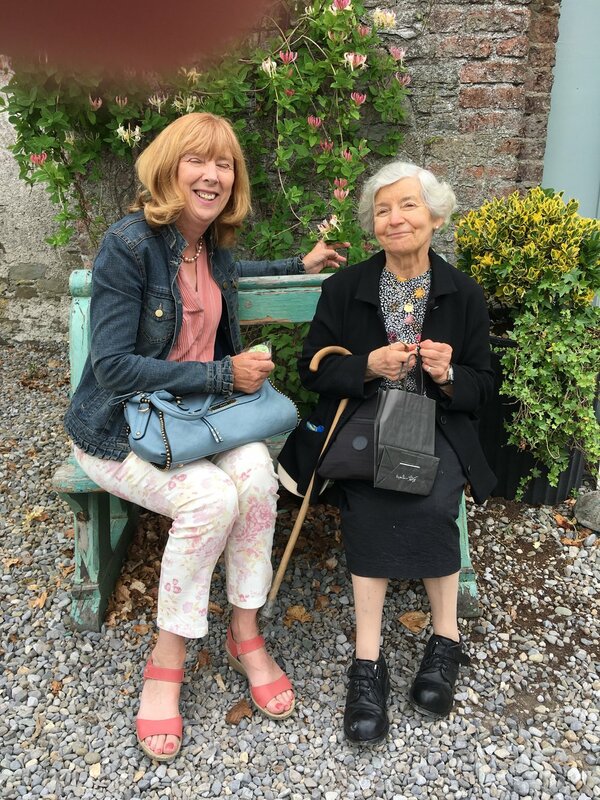 I can only applaud the staff at Russborough, and in particular, Joan Griffith, for a memorable and very happy day!